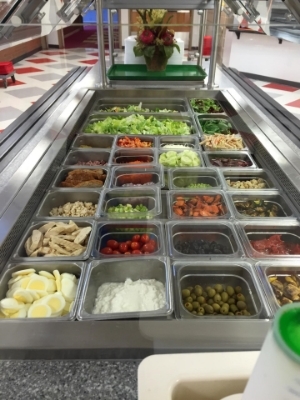 Wednesday has become my favorite day of the week, thanks to the fantastic salad bars staff and parents are overseeing. I overheard my students talking about how they would arrange their salads today, and realized what a long way we've come in a relatively short time with regards to healthy eating at school! Thank you for your efforts bringing us great food! Sausage Patties here for more information.